Barloworld is committed to the highest standards of governance. We believe that excellent corporate governance is key to ensuring we deliver value to our stakeholders, building trust and enhancing our reputation. King IV is a principle and outcomes-based approach to corporate governance. Barloworld embraces the principles and outcomes of King IV. During the year, work was performed to embed the principles of King IV into our business. We are materially compliant with King IV, and a statement on our application of the principles of King IV is available on www.barloworld.com. We are committed to doing business ethically while also building a sustainable company that recognises the short- and long-term impact of its activities on the economy, society and the environment. We believe ethical leadership is the foundation upon which we create value for our stakeholders. The board provides effective leadership based on a principled foundation and is ultimately responsible for the company's ethics performance. Executive management is, in turn, responsible for setting up a well-designed and properly implemented ethics management process. The group is governed by the Barloworld Worldwide Code of Conduct and Code of Ethics. The Code of Ethics requires Barloworld directors, management and employees to obey the law, to respect others, to be fair, honest and to protect the environment. The Worldwide Code of Conduct articulates Barloworld's commitment to doing business the right way, according to best practices, guided by our values. Our ethics and compliance programme is designed to further entrench and integrate good corporate governance throughout the group. We continue to perform assessments of ethical risks and opportunities and integrate these into the risk management processes. Our governance framework supports our value creation process and enables the delivery of our vision. The board ensures that there are the necessary committee structures, including the executive committee, empowered with clear terms of reference that assist the board in discharging its responsibilities. The board steers and sets the direction of the group and brings independent judgement and leadership to material decisions, while ensuring strategy, risk, performance and sustainable development considerations are integrated into decision-making and appropriately balanced. The board functions in accordance with the requirements of King IV and within the context of the Companies Act, the Listings Requirements of the JSE Limited and other applicable laws, rules and codes of governance. The board is responsible for, among other things, the governance of risk and information technology, and has ensured that the company has an effective, independent audit committee and an effective risk-based internal audit function. The board is satisfied that it fulfilled all its duties and obligations in the 2018 financial year. Considerable thought is given to board balance and composition. Collectively, the board believes the current mix of knowledge, skill and experience meets the requirements to lead the company effectively. There is clear balance of power and authority at board of directors level and no one director has unfettered powers of decision making. The board has evaluated the rationale and meaning of the requirements of independence of directors in accordance with King IV. An assessment of the factors and circumstances of each non-executive director is performed annually. The independence of non-executives who have served on the board for longer than nine years is also assessed annually. The board is satisfied that all of the non-executive directors are independent. The roles of the chairman and CE are clearly differentiated. Chairman Responsible for leading the board, ensuring its effectiveness and setting its agenda. CE Leads the executive team in running the business, developing strategy and coordinating proposals for consideration by the board. Barloworld has a rigorous and transparent policy regarding the appointment of directors to the board. Proposes directors to the board for consideration on the basis of skills, knowledge and experience, and taking into account gender and race diversity appropriate to the needs of the company. Considers the recommendations of the nominations committee before making an appointment. All newly appointed directors are subject to ratification at the next annual general meeting of shareholders following their appointment. 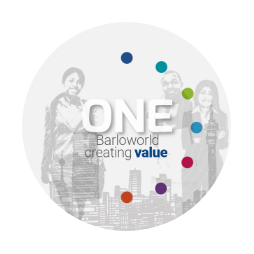 Barloworld is committed to forward-thinking succession planning to ensure stability within the leadership. The board ensures that it has robust succession plans that recognise the businesses’ current and future needs, taking into account the group’s strategy. Ms Sibongile Susan Mkhabela and Mr Oupa Isaac Shongwe will retire from the board at the 2019 annual general meeting (AGM). Following due process, the board identified Ms Neo Mokhosi and Mr Hugh Molotsi as independent non-executive directors, and will seek ratification from the shareholders for their appointment at the 2019 AGM. The development of industry and group knowledge is a continuous process. Directors are briefed on legal developments and changes in the risk and general business environment on an ongoing basis. We inform newly appointed directors of Barloworld’s business as well as their own duties and responsibilities as directors. Directors are able to seek independent professional advice concerning the company’s affairs should they require. To assess the board’s effectiveness and that of its committees, we conduct an external and internal board evaluation every two years. Due to the appointment of several new non-executive directors during 2017, and changes expected to be ratified at the 2019 AGM, we opted to postpone our external board evaluation to 2019 to allow sufficient time for changes to become embedded and to enable a more effective and meaningful evaluation. Don Wilson has appropriate expertise and experience to meet the responsibilities of his appointed position. The board has also considered and satisfied itself of the appropriateness of the expertise and adequacy of resources of the finance function. The experience and competence of the company secretary was appropriate. Ms Lerato Manaka was the company secretary for 11 months of the 2018 financial year, while Ms Andiswa Ndoni was appointed on 1 September 2018 and is the group's current company secretary. Furthermore, she is neither a director nor a public officer of the company or any of its subsidiaries. * Appointed on 15 November 2017. For more details on the responsibilities, powers, policies, practices and processes of the board, directors and committees, refer to the board charter and committee terms of reference, as well as the company’s Memorandum of Incorporation, on our website, www.barloworld.com.